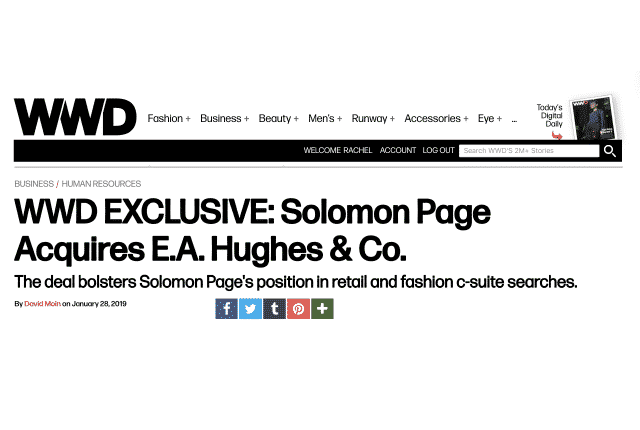 The deal bolsters Solomon Page’s position in retail and fashion c-suite searches. Solomon added that E.A. Hughes’ expertise in c-suite searches complements Solomon Page’s strength in full-time recruitment and freelance hiring, thereby providing Solomon Page with a “broader” approach. The E.A. Hughes team of eight will continue to be led by Elaine Hughes, who founded E.A. Hughes & Co. in 1991. The boutique executive search firm has been serving the retail, apparel, footwear, beauty, home and e-commerce sectors, among others. She reports to Solomon, and joins Solomon Page’s fashion and beauty division, led by managing directors Sue Lamoreaux and Patty Hoban Scott. “Elaine has influenced the careers of many senior executives in retail and fashion and advocated for women in the industry by example and involvement in many organizations during the past three decades,” Lamoreaux said. Hughes underscored the “synergies” accomplished by combining the two firms, and that the deal gives Solomon Page a broader scope of talent acquisition encompassing Csuite executive search, mid-level searches, as well as staff jobs such as sales associates. As Hughes sees it, inadequate search is a big factor behind the industry’s high rate turnover at the c-suite level. Many search firms, she suggested, neglect conducting the proper “deep dive” into the candidate’s functional talents, experience and E.Q. to determine whether he or she is a good fit for the organization doing the recruiting and its culture. “No one really assesses it all,” Hughes said. 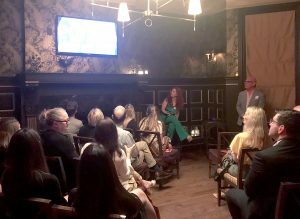 Recently, Lisa Berger, formerly with the 24 Seven recruitment agency, joined Solomon Page to launch its beauty segment. 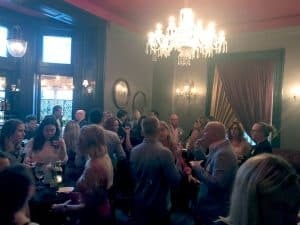 “In the ever-evolving landscape of human capital and business models, our goal is to adapt to shifts in the marketplace and create a multifaceted approach to our clients,” Solomon said. 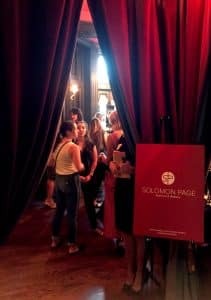 The New York-based Solomon Page, founded in 1990, has 275 employees, 10 offices in the U.S., and one in London. Scott Page is also a founding partner in the company and managing director. NEW YORK (Reuters) – Amid a week of shows dominated by fashion icons like Calvin Klein and Tom Ford, the Runway of Dreams Foundation gave a presentation on Wednesday devoted to stylish looks created specially for people with physical challenges. The Fashion Revolution event, held on the eve of the first official day of New York Fashion Week: The Shows previewing the hottest Spring 2019 looks, featured 30 models with disabilities who hit the runway wearing adaptive clothing by design houses Tommy Hilfiger, Nike and Target. 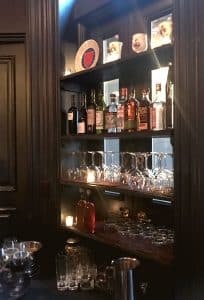 Designer and RODF founder Mindy Scheier said the idea for the foundation came via her son Oliver, who lives with a rare form of Muscular Dystrophy. “He vocalized to us that he really wanted to wear what everybody else gets to wear,” said Scheier. “That truly opened my eyes to the need of not only my son Oliver, but the millions of people, almost 60 million” in the United States and a billion globally with a disability, she said. Model Hannah Gavios, 25, said the show provided a unique opportunity not just for fashion buyers, but for professionals like herself. “I don’t feel like I should have to hide my leg braces,” said Gavios, who fell off a cliff in 2016 and suffered a spinal injury and was sporting a Nike creation. “I don’t feel like I should have to wear anything over it, I don’t want people to see anything bumpy underneath my pants – I want to be able to show them off but I want them to look cool and I want it to be part of my style and represent my fashion and who I am, my personality,” she said. You can read the rest of the article on Reuters. 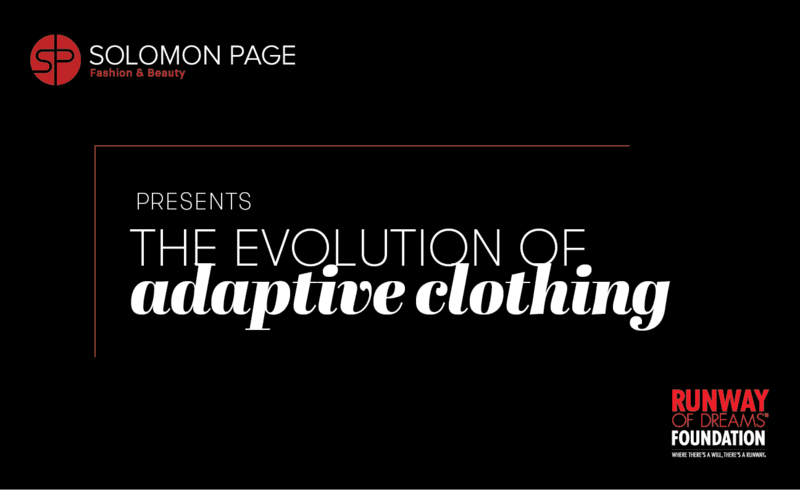 On June 25th Solomon Page hosted an event dedicated to the exploration of adaptive clothing. The evening included an intimate cocktail reception and featured guest speaker Mindy Scheier, founder of Runway of Dreams Foundation, an organization dedicated to a future of inclusion, acceptance and opportunity in the fashion industry for people with disabilities. Lloyd Solomon, Managing Director for Solomon Page, interviewed Mindy following a brief video that introduced Runway of Dreams’ history and mission. He opened the discussion speaking to our philanthropic spirit as a company. 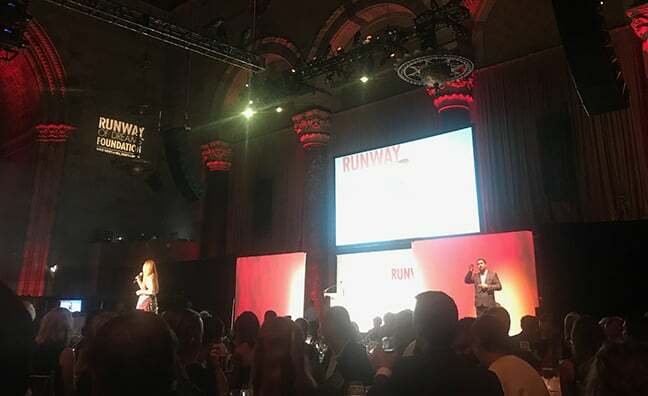 Solomon Page felt a relationship with this organization was an organic fit—our main core values closely align with those of Runway of Dreams’. Realizing the desperate void to better accommodate people with disabilities, Mindy took it upon herself to address it. She explained that even though people with physical disabilities are a huge and underserved population–one in 20 people in the U.S. has a disability that affects their ability to dress themselves—mainstream brands were not actively selling in this market. But after some determination and research, Mindy partnered with Tommy Hilfiger in 2016 to build an adaptive clothing line, Tommy Adaptive. As Mindy discussed, there were three main design factors to consider, that her son, and most people with physical disabilities, battled with: adjustability, closures, and alternative ways to put clothes on. The clothing is adaptable in a sense that it’s adjustable by size and length, mimicking an “internal hemming system” – she lamented that, during her research, she discovered people with disabilities can spend hundreds on tailoring. She also found that zippers, buttons, and hooks posed problems, so she added closures that were more user-friendly, such as magnets. Lastly, many people with physical disabilities, especially people in wheelchairs, are usually unable to stand up and pull clothes over their head, so she designed clothes that presented alternative ways to take on and off. 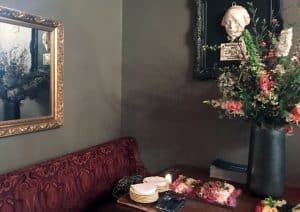 Many of the audience members resonated with Mindy’s vision, and her son’s personal struggles: people cited elderly parents who struggled to dress themselves in anything fashionable, or other family members who had disabilities. Mindy revealed that businesses are beginning to recognize that people with disabilities are a vastly untapped market: creating the ability to serve over one billion people globally, while presenting a potentially lucrative business opportunity for astute companies. Click here to learn more information about Runway of Dreams. I’ve heard Jim Rohn’s incredibly insightful quote on a number of occasions. Each time I run across it, I have to pause — as the message is simply that powerful. Those we surround ourselves with can easily be viewed as a critical career choice; as we often absorb the outlook and passions of those around us. Instinctively, we might apply this quote to our personal lives; quickly completing a review of our inner circle of friends and acquaintances. However, we should extend this notion to our work lives as well — as the same standard should hold there. Who do you interact with regularly? How do they influence your mood? Your level of motivation? Those around us can affect our work lives tremendously — for the better — or for the worse. We should all seek a group of individuals who spur us on, and help our best possible work life become a reality. Above all, the “Fab 5” should collectively have relevance to all facets of your work life. A group that would serve to serve as a powerful “career catalyst”, encouraging both exploration and excellence. The individuals may change over the course of your career. But, the roles should be remain represented. When I think about the past, present and future of the aerospace industry, I keep coming back to innovation as the common thread. And while we all know about the great innovations of the past, the crucial question to answer for tomorrow is: How do we inspire continued innovation into the future? 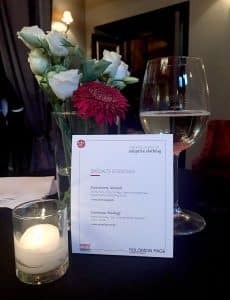 I recently had the honor of delivering the 44th Wings Club “Sight” Lecture – an annual address that examines “hindsights, insights and foresights” of the aerospace industry – and I thought I’d share the takeaways from that speech with you, along with four principles that I believe are necessary to inspire innovation at any company. One American military leader, already having lost most of his many battles, persisted in driving his troops to attack in situations that everyone else regarded as lost causes. A leader destined to go down in history as a failure? Hardly. It was George Washington. Business leaders today could take a lesson in risk management from General Washington, but it’s not the one you might think. Washington was never reckless. He studied risks carefully, running unapologetically from battles likely to lead to catastrophic defeat, while throwing himself and his troops into battles that he saw could prove decisive and were more winnable than others assumed, as when he crossed the freezing Delaware to attack–and defeat–the British in a blizzard. Managers sometimes mistakenly think their job is to avoid or eliminate risk. That’s easy to do: Just veer away from all undertakings that aren’t sure things, or that you don’t understand well. I can absolutely guarantee you the result of that strategy will be mediocre performance, at very best. Innovation, speed, and bold action are all associated with risk–so if you’re avoiding risk, you’re avoiding some of the very qualities your organization needs to excel or perhaps even just survive. “A superior leader is a person who can bring ordinary people together to achieve extraordinary results.” Many years ago, an entrepreneur told me that. He was right. But this isn’t just true of leaders. It’s true of all human beings. I’ve come to believe that the most valuable talent is being able to recognize hidden skills that others possess. Why? There’s only one you, and you only have so much time. But if you can bring out the best in others, you gain remarkable leverage. I’m not just talking about recognizing talent. I’m talking about being able to recognize a look in someone’s eyes that tells you something valuable is burning inside that person. I’m talking about realizing that if you take Jake’s drive, mix it with Julie’s intelligence and Dave’s creativity, then you will transform three mildly effective people into a spectacular team. I’m talking about looking past what’s “wrong” with others, and instead seeing what’s special about them in very pragmatic and actionable terms.